Military Museums and Collections in Poland, by Zdzislaw Zygulski jun. “Military collections in Poland in comparison with collections of other countries present themselves unexpectedly well. One may ask how it happened that, in spite of the wars and invasions harassing this country for centuries, so many items of old weapons, uniforms, and military equipment have survived – objects which by their very nature usually got worn out in battles, perished with time, or in the case of disasters and occupations were always confiscated or looted. There is no doubt that militaria have been held in great esteem in Poland. The Poles, lacking in warlike instincts, seeing in agriculture the basis of existence, respected arms only as the essential factor of defense, as an indispensible instrument for hunting, and also as a sign of knighthood. Not only knights, however, were privileged to hold arms, as from the early Middle Ages under certain circumstances townspeople and peasants took service in the army. In exterior wars Poland often found formidable adversaries. At the time of the Piast dynasty, between the 10th and the 14th centuries, the Poles were fighting in the West defending their borders against the German push, and in the East against the raids of the Lithuanians, Tartars, and Ruthenians. From the end of the 14th century, under the rule of the Jagiellons, in alliance and then in federation with Lithuania, Poland succeeded in breaking down the power of the Teutonic Order. After the death of the last Jagiellon King, Sigismund II Augustus, in 1572, the Polish throne became elective by all gentry. The second elective King, Stephen Batory, proved to have an unusual military talent and contributed largely to the development of the national forces. Old Polish strategy, tactics, and the use of specific arms reached their climax in the 16th and the beginning of the 17th century, and was marked with the names of great hetmans, such as Jan Tarnowski, Stanislaw Żółkiewski, Jan Karol Chodkiewicz, Lew Sapieha, Stanislaw Koniecpolski. Wars continued throughout the 17th century, bringing victories or defeats. New invaders, particularly the Swedes and the Turks, threatened the very existence of the Commonwealth of Two Nations, as the federation of Poland and Lithuania was called. Fighting on various fronts, against various enemies, Poland was able to form national weapons of technically high quality as well as of functional and aesthetic value; we may mention, for example, the winged hussar armour, the scale armour – karacena, an original kind of mail armour, a cavalry lance, and a national type of sabre. The Polish sabre with the knuckle-guarded hilt was a weapon of such merit that it became a model for numerous future varieties of this type. Two kings of the 17th century made major contributions to the development of Polish military forces and to the fame of Polish arms: in the first half of the century Wladislaw IV Vasa, an army reformer who achieved triumphs in numerous campaigns, and, in the second half of the same century, John III Sobieski, who repeatedly defeated the Turks and the Tartars. The 18th century brought about a decline of the Polish army, which resulted in the aggression of neighboring powers and the loss of independence of the State. Nevertheless, even in that period the national weapon flourished, though used more for ostentation and dueling than in battle. Arms inherited from ancestors were kept carefully even in those hard years of political oppressions and risings. Most of them have gone but many pieces have survived, finally finding their way to public museums. It may sound paradoxical, but the rebirth of the Polish military force in modern form, in West-European type, though with distinct national features, came after the fall of the State. 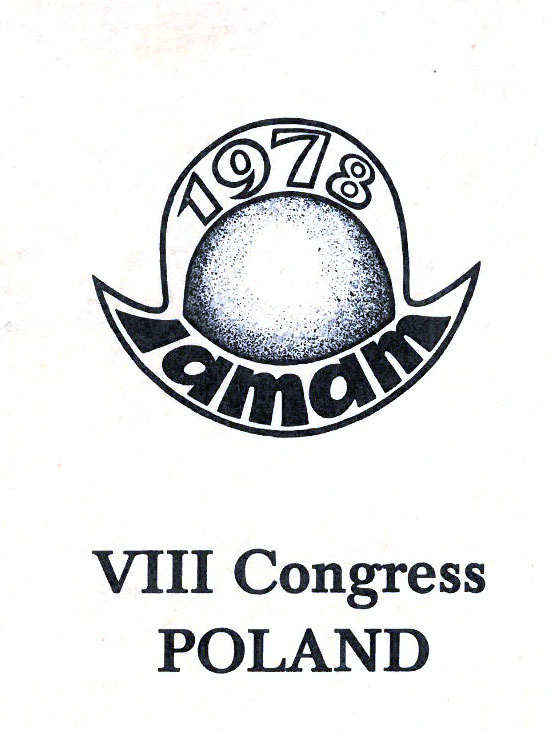 This was in connection with uprisings and the participation of Poles in various wars inside and outside Europe. A series of struggles for freedom was started in 1794 by the insurrection led by Tadeusz Kosciuszko, who earlier had taken part in the war for independence of the United States. A few years after the collapse of the Kosciuszko Insurrection the Polish Legions commanded by General Henryk Dąbrowski, by the side of the French Revolutionary Army, were formed in Italy. The Polish-French brotherhood in arms flourished in the time of the Emperor Napoleon I, and in the Duchy of Warsaw created by the Emperor in 1807, when a strong, modern, well equipped and trained army was developed. There were numerous Polish detachments in the French service, winning laurels in the great battles of the time. An excellent army, following the national tradition, belonged to the Polish Kingdom, subordinated to Russia, a rump creation of the Vienna Congress in 1815. It was this army that was the basis force of the November Uprising of 1830/31, but it could not match the power of the Russian Empire. Polish soldiers fought for freedom in the years 1846/48 not only at home but also in Hungary, where General Jozef Bem was one of the most outstanding leaders. The next great uprising against the Russian tsardom broke out in Ja­nuary 1863, but again it ended in disaster. Independent Polish troops took part in World War I on both sides, Allied and Prussian-Austrian, but always with one aim in view – the freedom of Poland. This was finally realized in 1918, confirmed by the Treaty of Versailles. Very soon a uniform Polish Army was re-born, which in 1939 stood first, in an uneven combat, against the formidable armies of Hitler. In subsequent years of World War II Polish armies were formed at the side of the Allies in the West, in the Soviet Union, and even in occupied Poland. In this war Poland suffered enormous losses in human life. After the Warsaw Uprising in 1944 the Polish capital was almost completely demolished by the Nazis. But still the Polish military force was unbroken; in number it was the fourth among the Allies and in 1945 Polish soldiers were privileged, at the side of the Soviet Army, to take Berlin by storm. 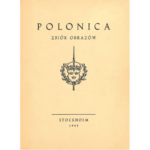 This military history of Poland, outlined in the briefest way, proves that most of the wars waged by this country had a defensive character or were fought for the liberation of other nations. Polish standards were often inscribed with the motto “Za Waszą i Naszą Wolność” – “For Your Freedom and Ours”, of which we are really proud. The leading museum institution documenting the military history of Poland is the Polish Army Museum in Warsaw, inaugurated in 1920, just after the regaining of national independence. From the beginning it was connected with the National Museum in Warsaw, being however a separate institution depen­dent on the high military authorities but occupying the same building as the National Museum and having for many years a common director in the person of Colonel Bronislaw Gembarzewski. There were three main sources from which objects came to the Museum – from donations made by patriotic members of our community, from the revendication of objects confiscated by the invaders (in particular from the territory of the Soviet Union, whose government decided to return to the Polish nation cultural material pillaged by the tsars), and finally from purchases in Poland and also abroad, carried out through well-known antique dealers. About 1934 the collections reached several thousand objects of arms, armour, uniforms, military equipment, flags, decorations, documents, military regulations, and items of military iconography. 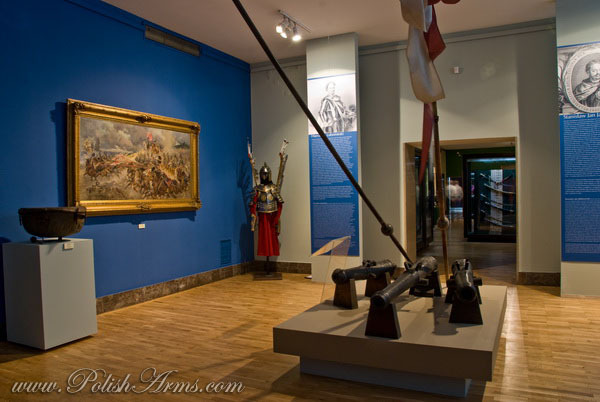 When new museum pavilions in the Aleje Jerozolimskie were built a permanent exhibition was arranged to illustrate the history of Polish arms from the days of the early State in the tenth century until recent times. Moreover, the Museum soon became an important centre for military studies and the seat of the Society of Friends of the Army Museum, publishing a valuable monthly magazine “Broń i Barwa” (“Arms and Uniforms”). World War II inflicted heavy blows on the Museum. Most of its personnel went to the field in the September campaign, many were killed, some of them went abroad to continue the struggle, a few remained on the spot, in a valiant and self-scarifying attempt to save the Museum. But the forces were unequal, The Nazis considered museum arms as a special trophy and captured them, first one by one and then in whole crates, evacuating the museum building, occupied in any case by the Wehrmacht. By a miracle the museum pavilions escaped disaster and survived even throughout the Warsaw Uprising, damaged but not demolished. Immediately after the cessation of hostilities a great campaign for finding and recovering of the collections was undertaken, supported by the Polish Army authorities, as well as those of the Soviet Army and the Allied Forces. The losses proved considerable but the essential part of the collections was regained and only one year after the liberation a new permanent exhibition was installed. Now the growth of the collections was dynamic because of the flow of objects which documented the participation of Poland in World War II, beginning with the year 1939, followed by objects from almost all fronts, from the battlefields of France, from Narvik in Norway, from the Battle of Britain, from Tobruk and Monte Cassino, from Lenino, and from Berlin. The Museum has been also enriched by the objects which were brought into Polish territory and abandoned by the Nazi army, The Museum permanent exhibition, established in the fifties and enlarged several times later, illustrates continuity of the military history of the nation, with a special accent on the struggles for freedom and for social justice. In this respect the Museum is a true phenomenon, hardly to be found anywhere else, the usual practice being to separate old armouries and arsenals from the modern military collec­tions. In the Warsaw Museum there is also a large department of oriental arms and armour, mostly Turkish, Persian, Indian, but also Chinese, Japanese, Malay, and even African, almost all objects coming from particular private collections. The Polish Army Museum, acting under auspices of the Ministry of National Defense, during the 33 year period since the war may be proud of great achievements in the field of exhibition, education and publishing. The museum attendance has reached half a million visitor yearly; 80 exhibitions were organized in the home building and more than 60 outside of it, among these 11 exhibitions abroad; 40 publications were issued, among these several catalogues and guidebooks in foreign languages. Besides, this central Museum contributed in the organization of many smaller military museums all over the country. In 1953 an independent Museum of the Navy was established in Gdynia, with the task of illustrating the history of the Polish Naval forces, having a strong accent on the deeds of this Navy in the time of World War II. Apart from a permanent indoor exhibition there is also a battleship museum “Błyskawica” (“Lightning”) moored seasonally in the harbour of Gdynia and very popular with the public. Regional military museums were created at Kołobrzeg in 1963 and at Białystok in 1968, and also in the sixties several museums devoted exclusively to the events of World War II, among others in Poznań and at Kutno; in this group, at Rablowo and at Po­lichno, two museums commemorate the guerilla operations in occupied Poland. 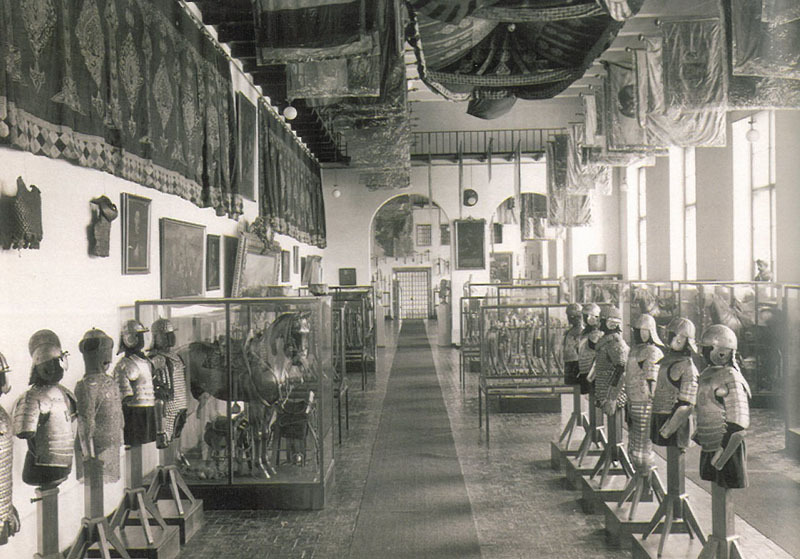 In the city of Łódź the Museum of Military Medicine was arranged. A specific form of Polish museum system are the so-called Rooms of Tradition, organized in some mili­tary units. All over the country there are about 400 such small museums containing interesting, sometimes even unique, historic materials. At least two such museums should be mentioned here: the Tradition Museum of the Pomeranian Military Region at Bydgoszcz, and the Room of Tradition of the Air Forces in Poznan. The picture would be incomplete without at least a summary description of some collections in Polish civilian museums, that is national, regional, and city museums. More than 40 museums contain departments of arms, some of them being exclusively museums of militaria. Exceedingly rich collections of national and foreign mi­litaria are housed in the National Museum in Krakow, founded in 1879. At that time Galicia (or Little Poland), being a part of the Habsburg monarchy, was given a kind of autonomy involving some constitutional liberties which made it possible to develop national, political, and cultural life. From the beginning militaria were collected by the Museum, mostly by means of donations, bequests, and purchases, not only of single pieces but of whole sets, such as the collection of Count Emeryk Hutten Czapski, who held high office in tsarist Russia, or that of Wladislaw Kościelski – Sefer Pasha, a dignitary at the Sułtan’s court in Istanbul. Various mementoes, arms, uniforms, flags, connected with military campaigns and national risings, long kept and hidden privately now went to the Museum. This tradition has been maintained till the present day. 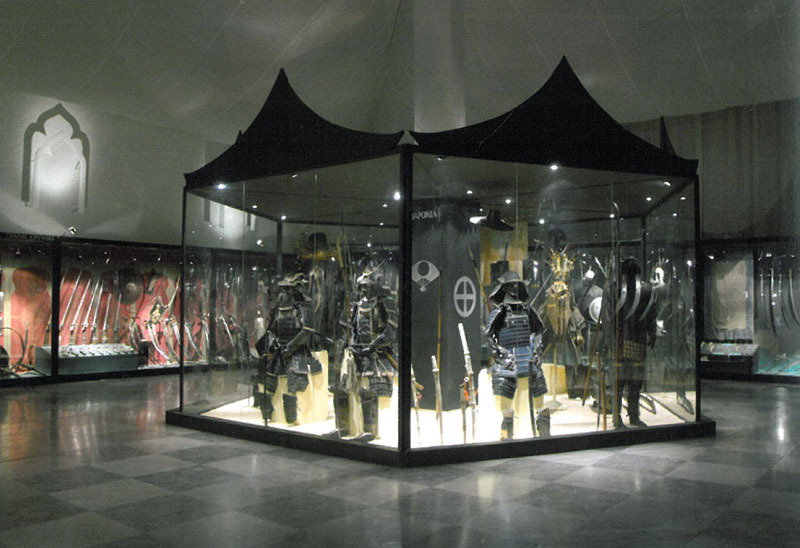 After World War II the Krakow Museum was further enriched by the valuable private armoury of Piotr Moszyński, and by the long-term deposit of various, mostly oriental weapons, gathered by Polish soldiers fighting in the Near East and presented in 1961 by the Historical Institute of General Sikorski in London. In 1951 the Czartoryski Collection (the former Museum of the Princes Czartoryski), containing an excellent armoury of noble origin and great importance for Polish culture, was permanently joined with the Krakow National Museum. 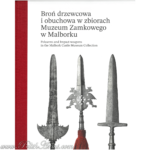 Perhaps no other Polish collection is so rich in monumental weapons commemorating outstanding personages and memorable events of ge­neral history. Most of these militaria come from the Sibyl’s Temple, a pantheon of old Polish fame, sui generis the first national museum, founded by Princess Isabel Czartoryska in 1801 at Puławy, and from the Gothic House, created there in 1809, a depository of foreign souvenirs. Czartoryska was lucky in acquiring pieces of arms after Polish kings and hetmans, some of them coming from the Crown Treasury of the Wawel Castle in Krakow, and numerous trophies, among them a good portion of the booty from the Relief of Vienna, besieged by the Turks in 1683. Thanks to her extensive connections in foreign countries, Czartoryska was presented with scores of military objects from arsenals in Brussels and in Vienna. The Krakow museums were also looted by the Nazis at the time of World War II but the essential part of the collections survived, as the city itself was saved. Nevertheless the poor state of the buildings and lack of exhibition space are still a great problem for the National Museum. In the last twenty years, mostly owing to Professor Zbigniew Bocheński (who died in 1976), an important research centre on militaria was created in this Museum, as well as the Polish Society of Lovers of Old Arms and Uniforms, counting today about 350 members in ten cities, issuing its own publications. 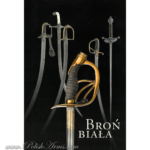 A set of militaria of high rank is in the possession of the Wawel State Collections of Art in Krakow. There are royal arms, souvenirs and trophies, and also anonymous arms from various sources, mostly of West-European origin. Wawel, for ages the true and symbolic centre of the highest State authority, seat of kings and also the seat of Church dignitaries in the cathedral of Krakow, the place of coronation and the last resting place of kings, always preserved within its walls insignia arms and tomb arms, besides the private royal armouries and service arms for the castle garrison. From the royal arms which are still there the first place is given to the Szczer­biec – the Jagged Sword – used as the coronation sword since 1320, when king Wladislaw the Short united under his rule the State hitherto divided into separate feudal provinces. After long years of decline, Wawel, still under Austrian occupation, passed into Polish hands in 1905, when great efforts were made to restore the ancient splendor of the Jagiellon residence. A great number of historic militaria were added to the Wawel collections as a result of the revendication campaign in the years 1922-1928. Systematic purchases were made, but the most valuable and generous acquisitions came from gifts from the community, in particular from aristocratic families which still possessed some historic treasures. In this way another part of the Vienna booty from 1683, especially an incomparable set of Turkish tents, banners, saddles, and trappings, found their path to Wawel. These objects gave lustre to the exhibition devoted to the Relief of Vienna organized in the Wawel in 1933, on the 250th anniversary of the battle. At the outbreak of World War II, in September 1939, the most precious items of the Wawel armoury, together with the Szczerbiec, were taken abroad with the greatest trouble and at exceptional personal risk to be deposited for safe-keeping in Canada. From there, beginning in 1948, they were gradually returned. 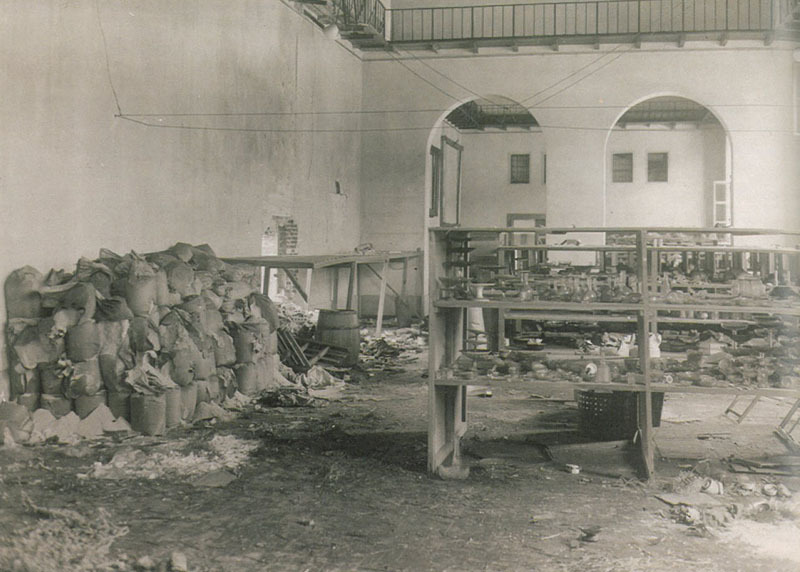 Nevertheless, the Nazis inflicted much devastation on the Wawel collections. A part of the armoury was found after the war at Opawa, whence it was transferred to Krakow on the orders of the Czechoslovakian government. Immediately after the liberation the armoury was reconstructed and then enlarged, occupying several rooms in the ancient part of the castle, modern exhibition methods being applied. In the course of years the Wawel military collection has been substantially enriched by systematic acquisitions at home and abroad. In 1961 a very important collection of about 400 pieces left by Bruno Konczakowski at Teshin was bought. 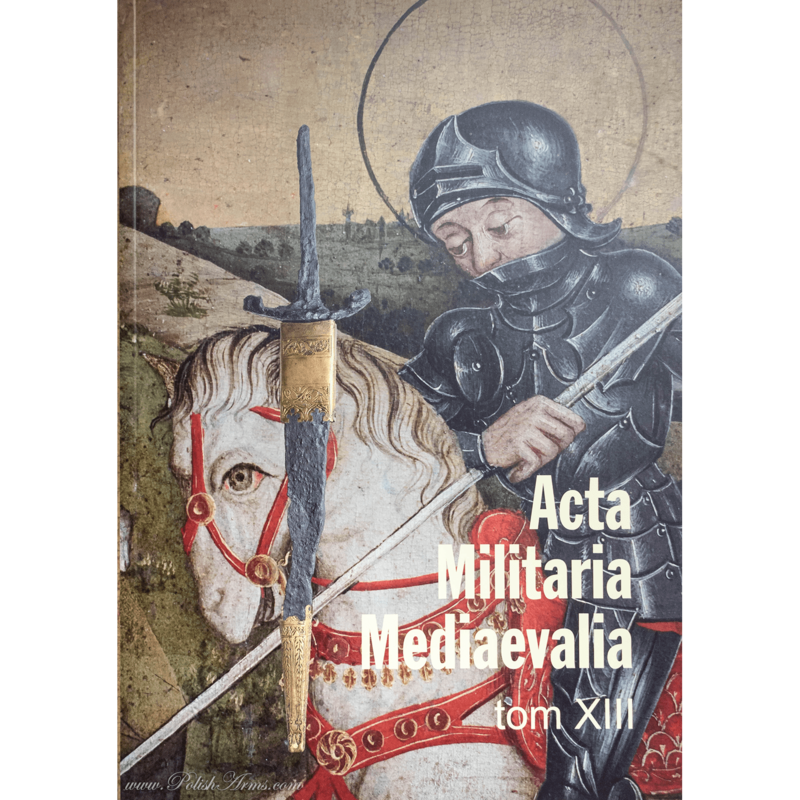 Besides these leading museums there are still others containing militaria, recreated after the war of founded as completely new institutions. The Great-Poland Military Museum, now a department of the National Museum in Poznan, opened as early as 1919, was destroyed at the time of the Nazi occupation. It was renewed in 1957 on the basis of various deposits, gifts, and purchases, with a very interesting set of uniforms and military equipment used by Polish soldiers in the 19th and the 20th centuries. A Museum of Air Forces and Astronautics, with about 200 objects and some high class and unique specimens of aircraft, was arranged in Krakow. 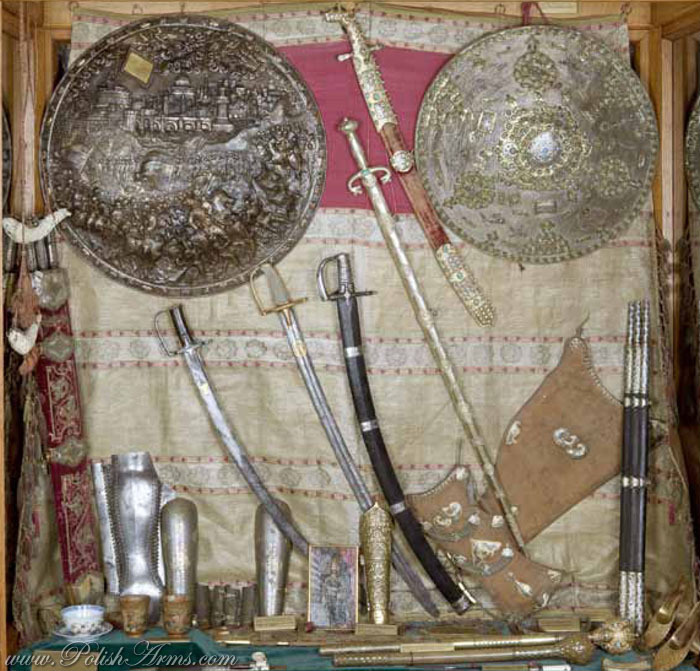 Old Polish weapons, mostly of the so-called Sarmatian period of the 17th and 18th centuries, are kept in the armoury at the Library of Kornik (Polish Academy of Sciences) and in the armoury of the Paulines on Monte Clara at Częstochowa. Various precious militaria are housed in the following museums: The National Museum in Warsaw and The Historical Museum of Warsaw, the National Museum of Wrocław and The Historical Museum of that city, The Historical Museum of Krakow, The Regional Museum in Toruń, The Museum of Tarnów, The Palace Museum of Pszczyna, The Castle Museum at Będzin, and The Castle Museum of Malbork. 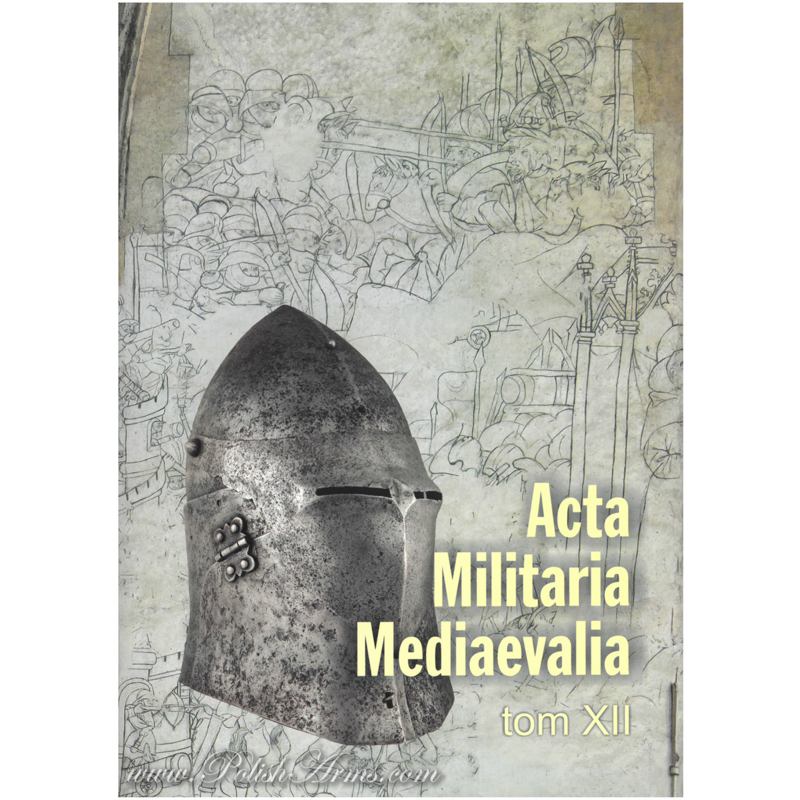 Special researches on militaria are carried out and guide-books, catalogues, and monographs are published. 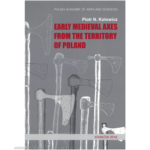 We should also mention the departments of excavated weapons in numerous Polish archeological museums, particularly in the State Archeological Museum in Warsaw, the Archeological Museum in Krakow, and the Archeolo­gical Museum in Poznan. 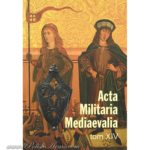 An important centre of studies on early historical arms and armour, directed by Professor Andrzej Nadolski, has developed in Łódź, in a branch of the Polish Academy of Sciences.